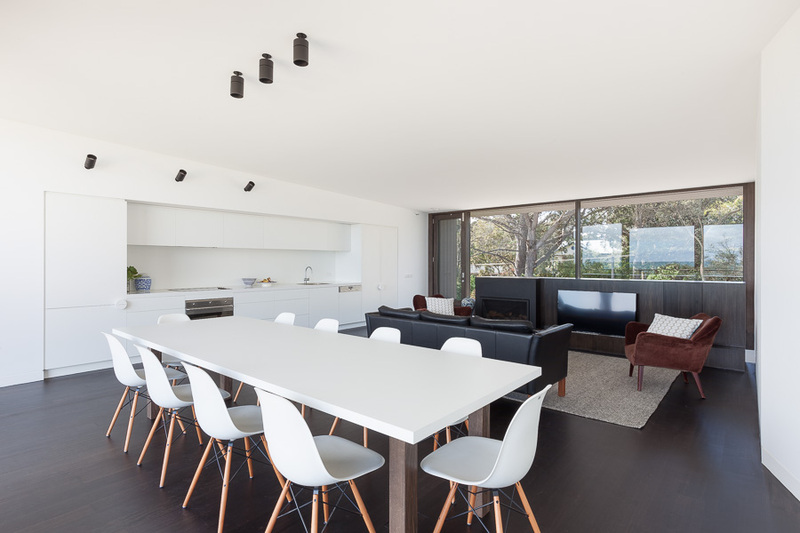 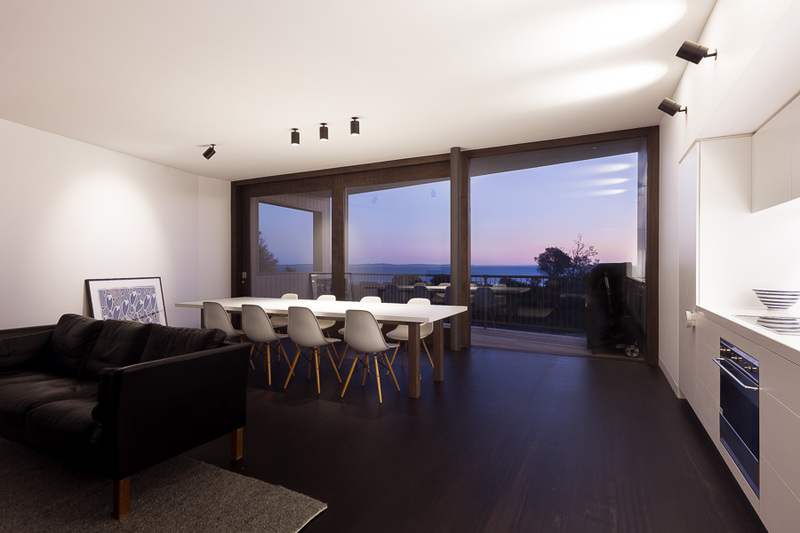 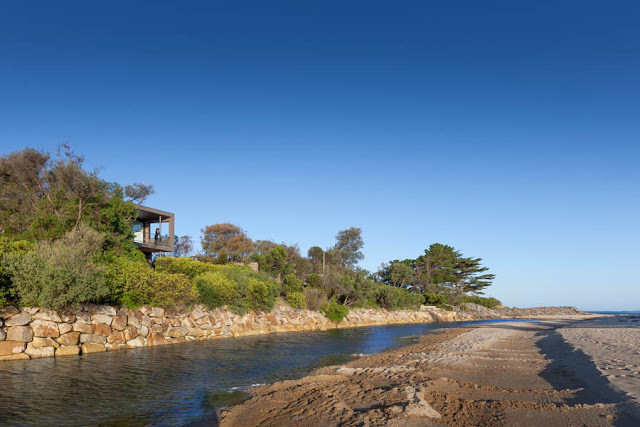 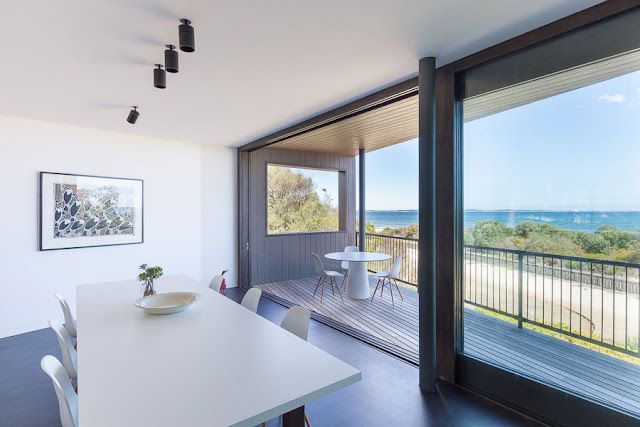 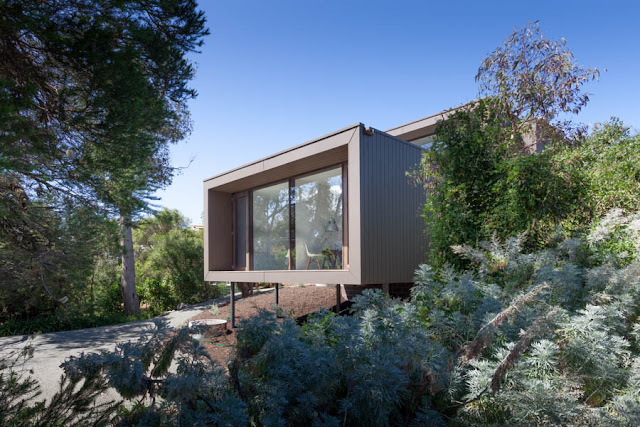 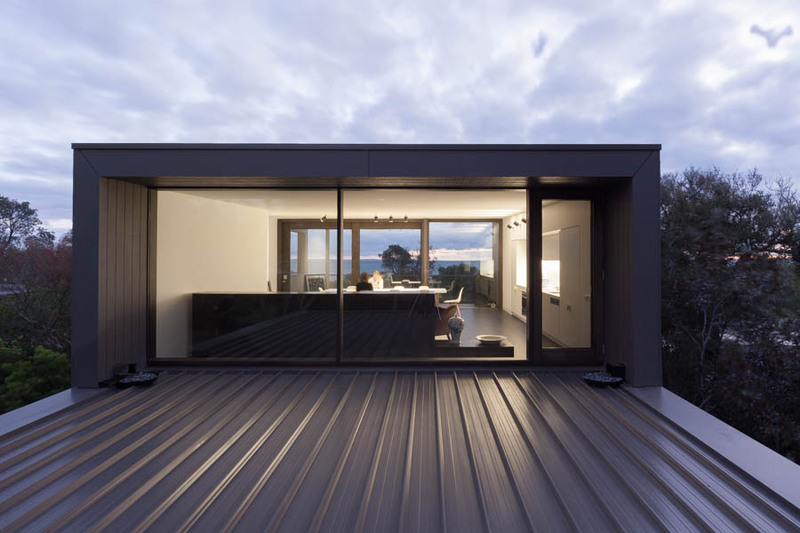 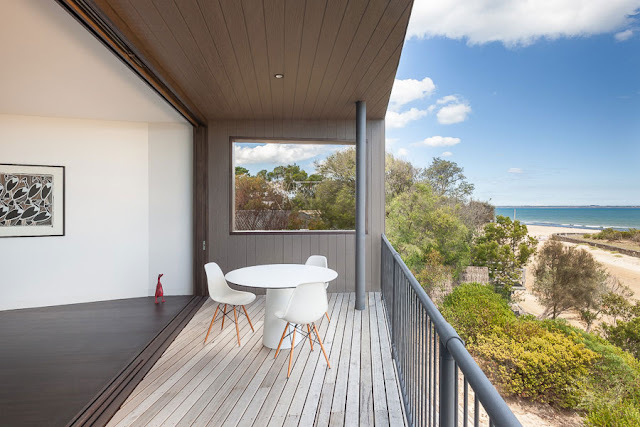 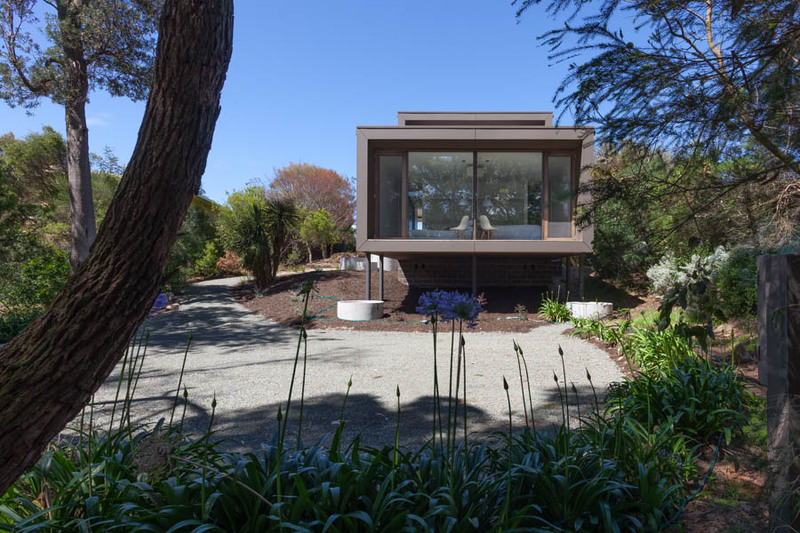 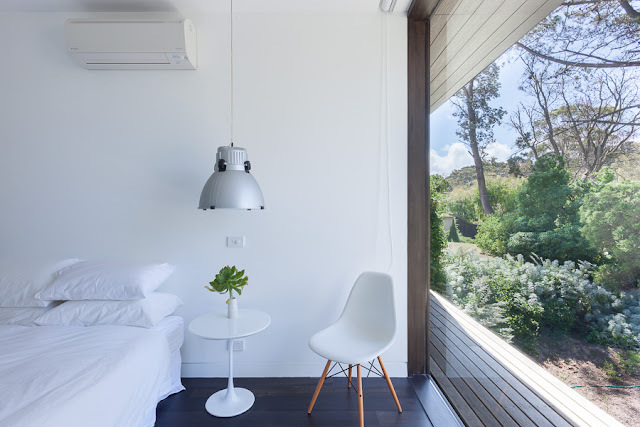 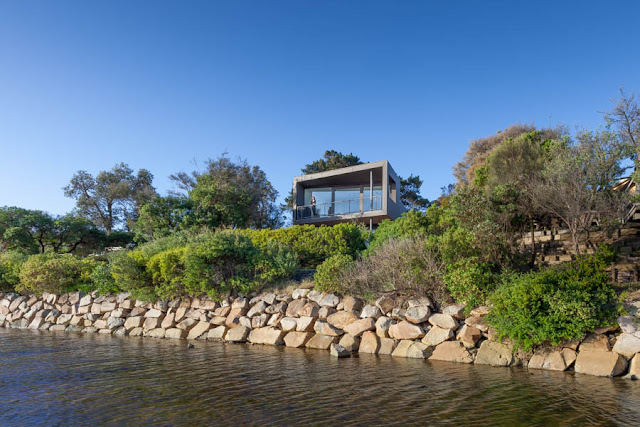 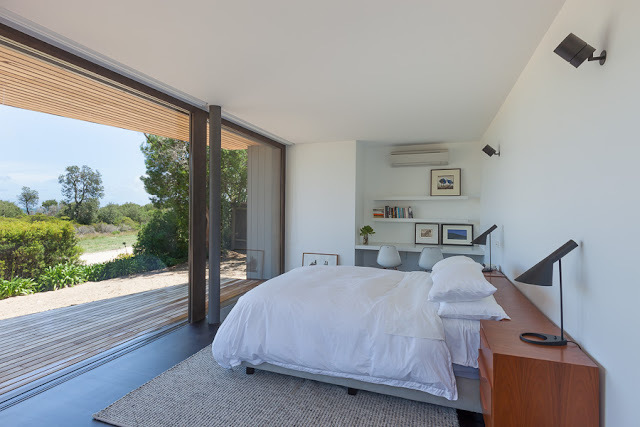 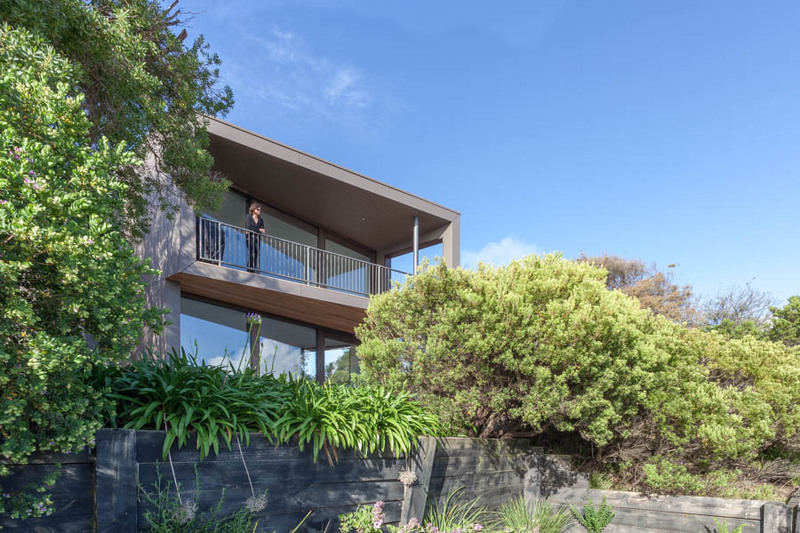 Melbourne based Open Studio Pty Ltd Architecture designed Residence J&C in Somers, a small beachside town one hour’s drive from Melbourne, on a site offering panoramic views across Western Port Bay. 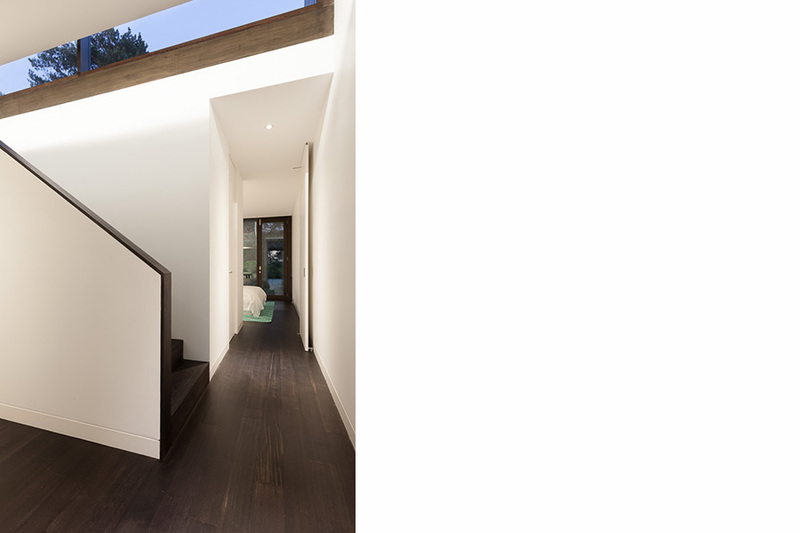 Internally, materials and finishes are kept to a simple two-tone colour scheme. 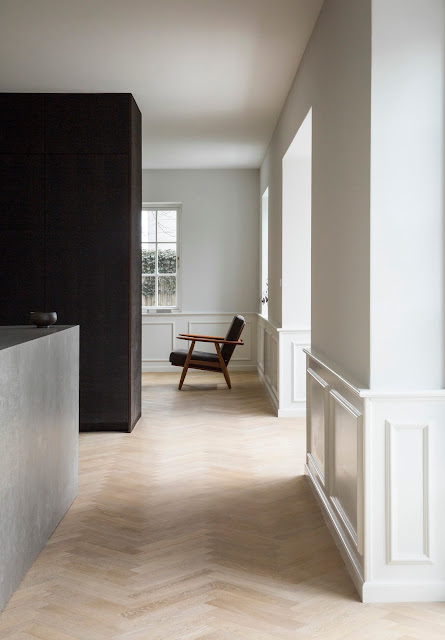 White walls and minimal joinery contrast with dark stained and waxed timber elements (hardwood floor, window frames, fireplace unit…). 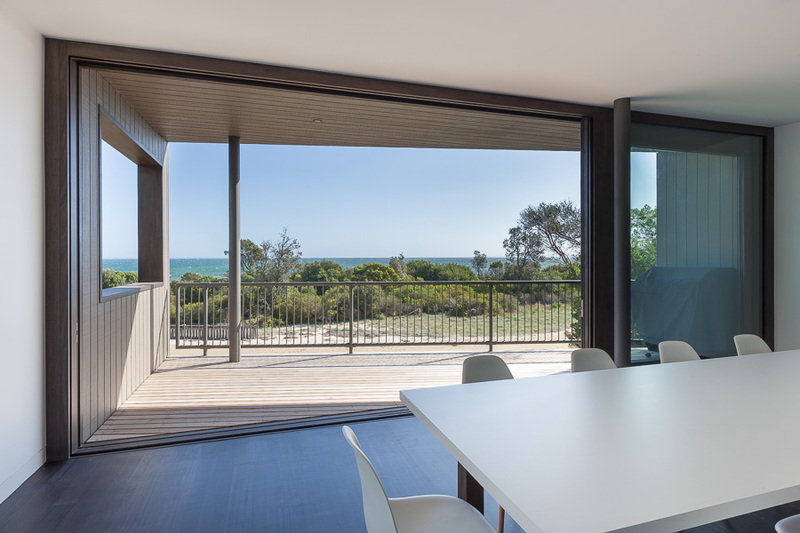 Frameless pivot doors and flush skirtings are used throughout to heighten the sense of space and openness.